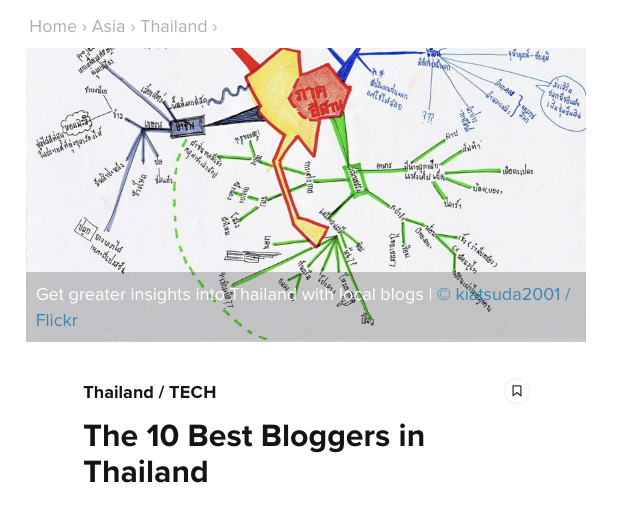 For (⬇︎ ภาษาไทยด้านล่าง ⬇︎) a man who realized he wanted to be a chef since he was nine and started devoting himself at the kitchen’s prep station – learning the ropes – when he was 14, the two Michelin stars Chef Arnaud Dunand Sauthier and his team at Le Normandie, Mandarin Oriental Bangkok achieved late last year at the launch of Michelin Guide Bangkok was a work-in-progress gratification. 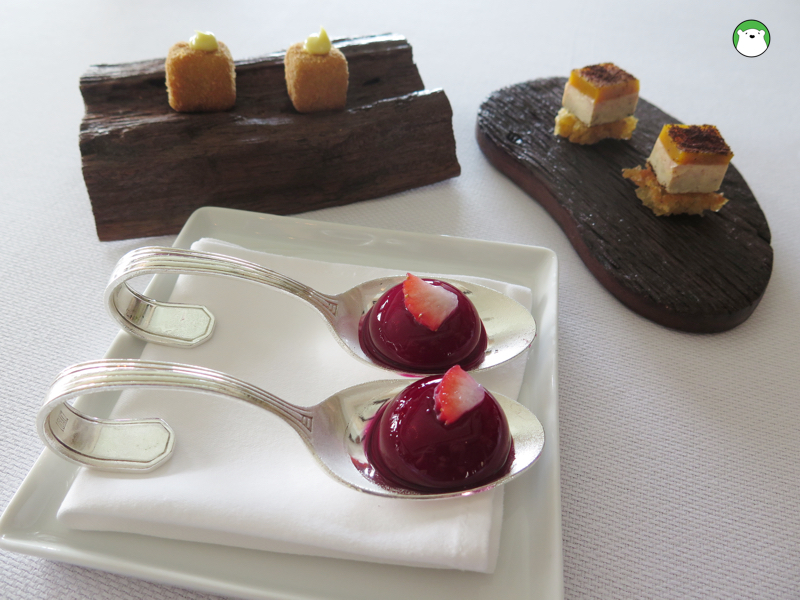 First set of amuse-bouche – sardine croquette with mayo, foie gras terrine with mango jelly and coffee powder and crispy fried sour dough, and Chiang Mai strawberry bonbons flavoured with beets. 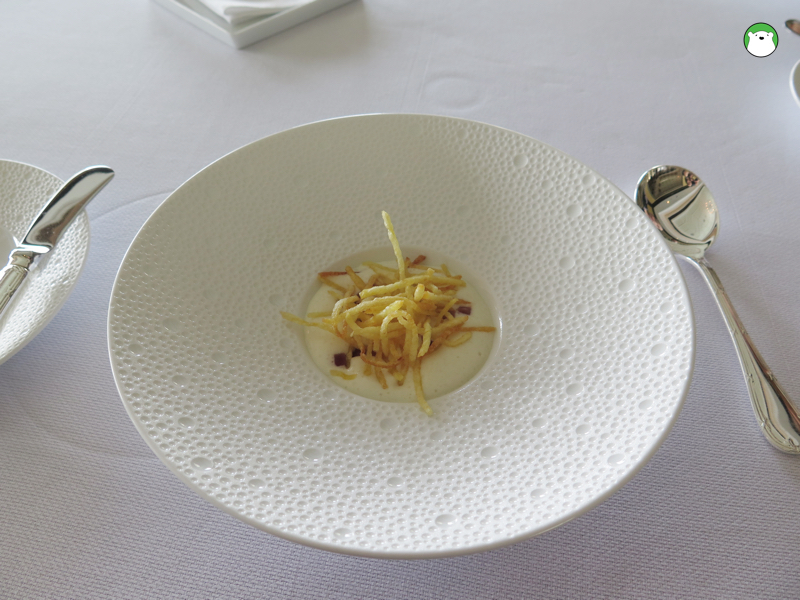 Second amuse-bouche: Savoie-style Reblochon cheese foam + Savoie ham and crispy potato. Another amuse-bouche. 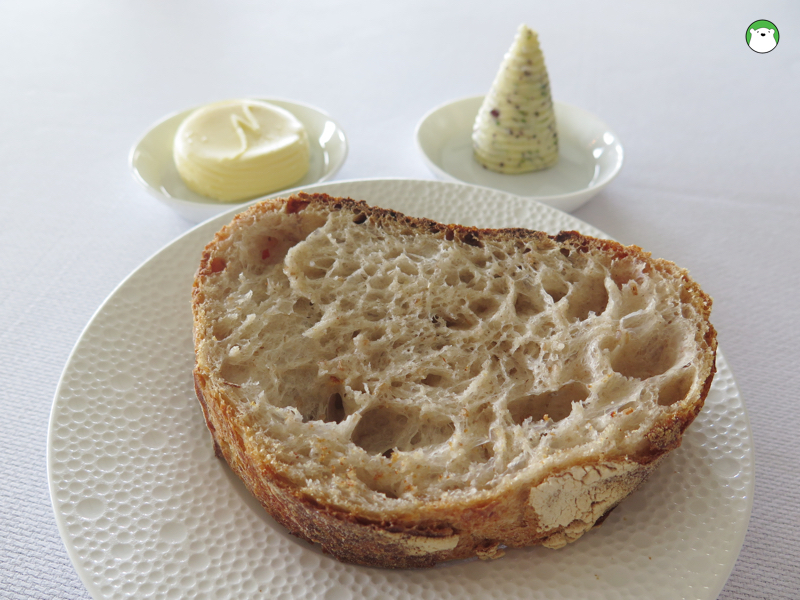 The super delish sour dough bread by MO Bangkok’s pastry chef Daniel Texter with their classic salted butter and the addictive nori-infused butter. Tataki of Chutoro Tuna, mushroom and red onion. 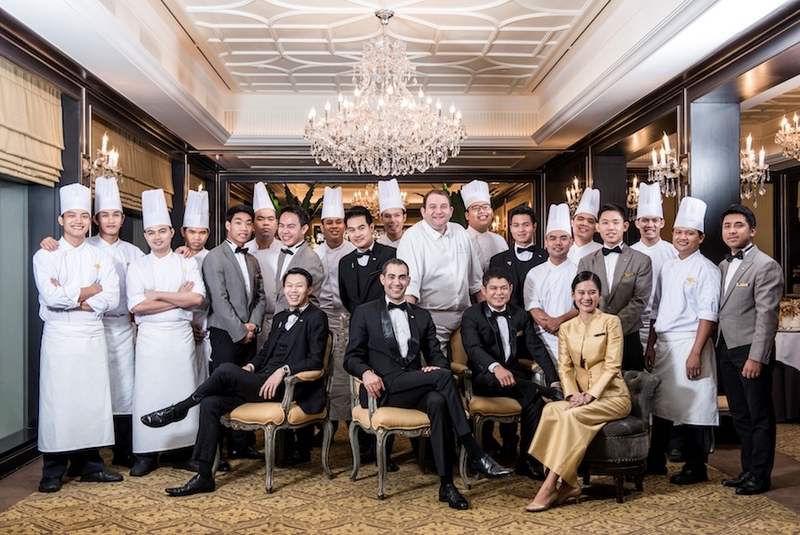 Chef Arnaud joined Le Normandie – Thailand’s oldest French fine dining restaurant situated in Thailand’s oldest luxury hotel – five and a half years ago. It was then that he was presented with the restaurant’s old tried-and-true menu that was used since 1978. 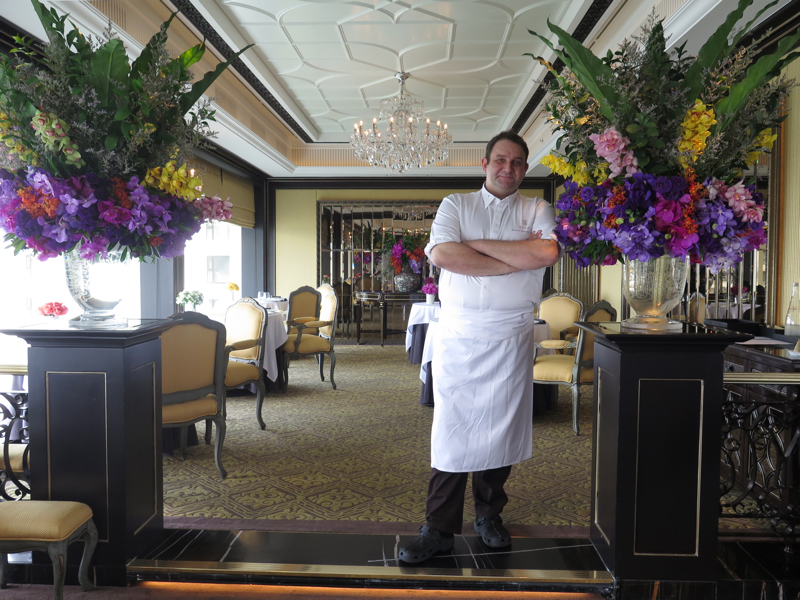 His main job or, more suitably, challenge at the time was to make Le Normandie – the restaurant that has been running since late 1958 – up to date. But instead of tearing apart all the oldie elements, Chef Arnaud started by revamping the food served at the restaurant little by little. He brought in the ‘new-gen’ of cooking – ideas and looks – into the restaurant’s classic French repertoire. 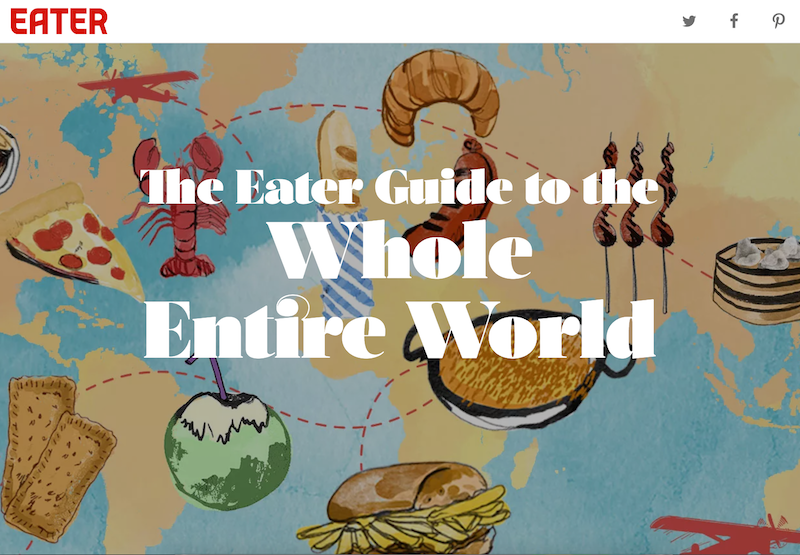 The result – at the end – is a total facelift of the restaurant’s entire menu that was perfectly juxtaposed with the total ‘rejuvenation’ of this classic place. 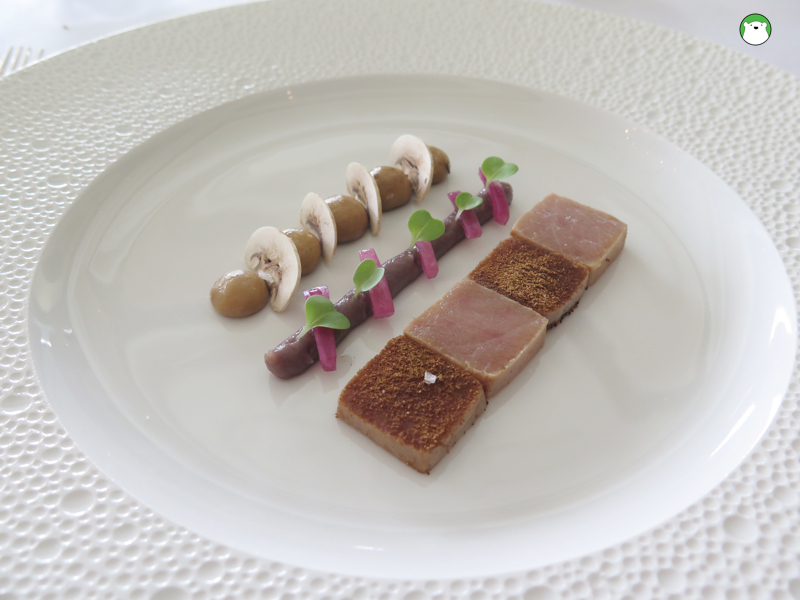 On top of it all, Chef Arnaud managed to create one original dish he can proudly call his own. 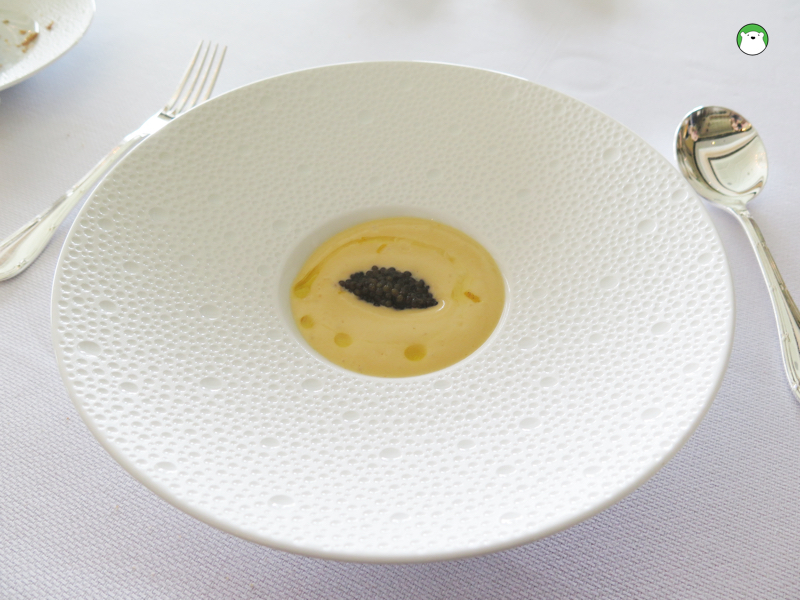 Chef Arnaud’s original recipe of ‘Sea Urchin, Potato Foam, Caviar and Champagne Sauce. 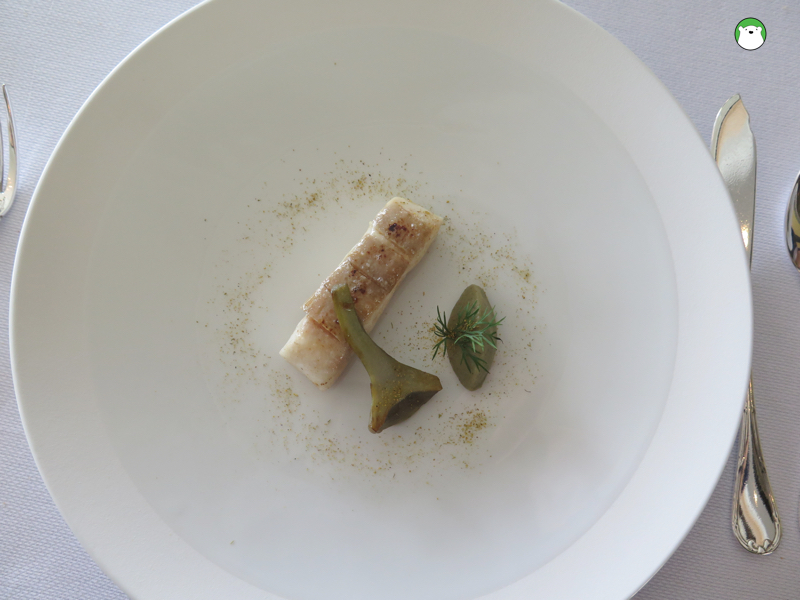 Smoked Wild Caught Sea Bass, Artichoke and Liquorice. 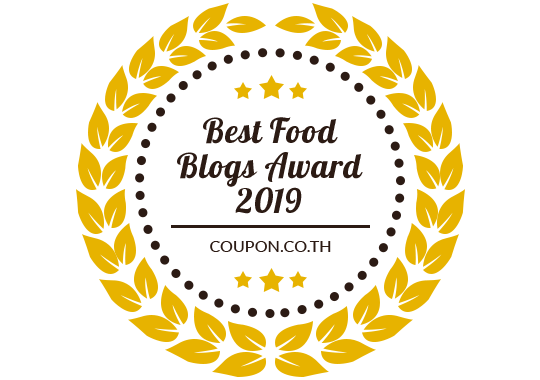 More sourdough for me!! 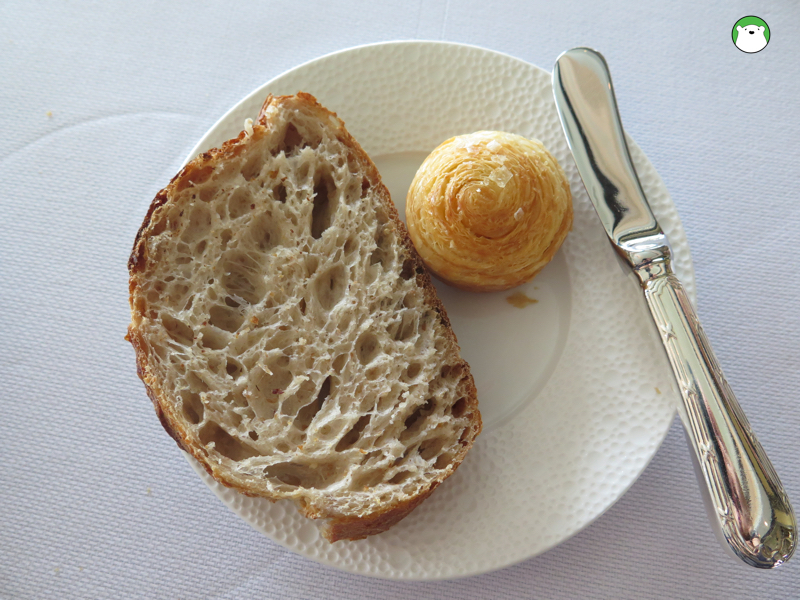 And their super flaky, super buttery, uber-duper fatty but worth every ounce of it brioche. 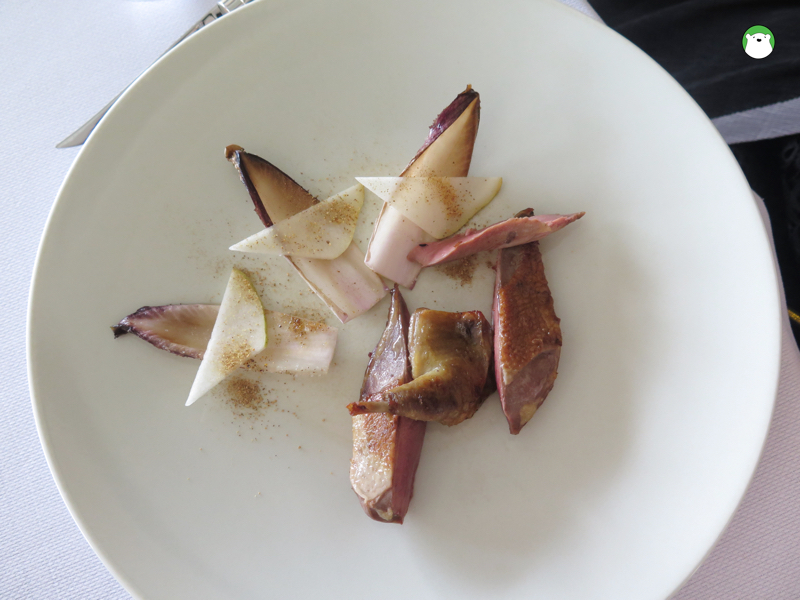 Roasted pigeon, Endive (on-deeve), Pear and Cocoa. That original dish that Chef Arnaud created is ‘Sea Urchin + Caviar and Potato Foam with champagne sauce’ that is now presented in both set and a la carte menu of Le Normandie. It is a light-yet-creamy, soft-yet-flavoursome tasting foam of potato combined with slight saltiness and unique savouriness of caviar and sea urchin. Simple, yes, but the key is the fact that no one in this entire world has done it before. “I actually got this idea from Le Normandie’s old and very sacred classic signature – the scrambled eggs with caviar,” explains Chef Arnaud. 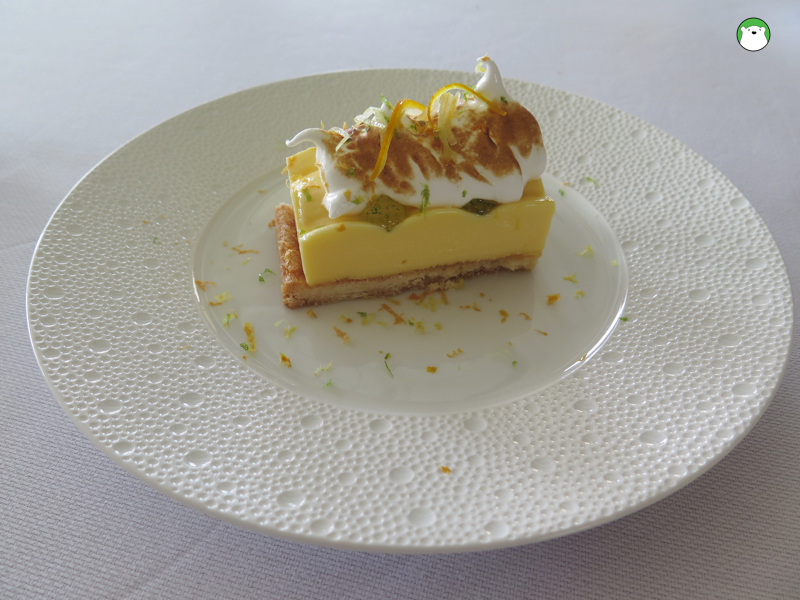 Tarte at Citron or the super duper delicious Lemon Tart, with curly and slightly charred meringue topped with three types of citruses. YUMMMM. 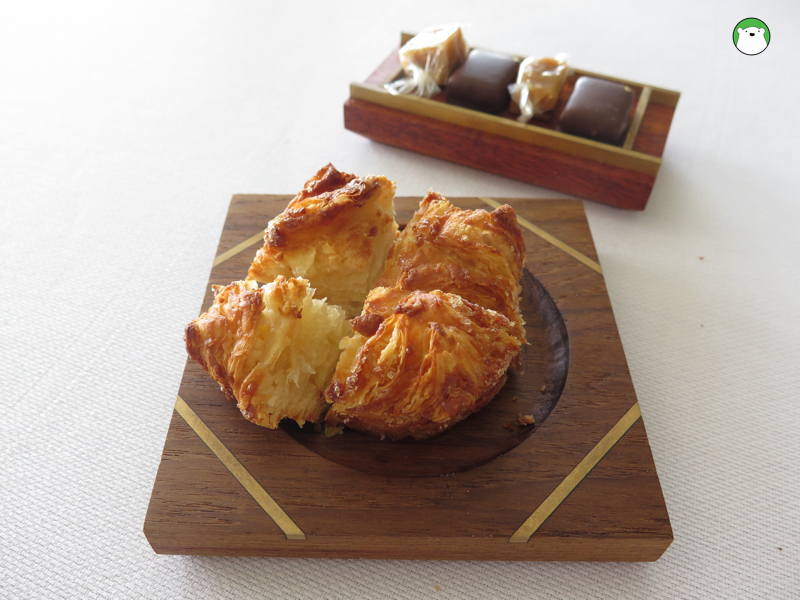 The super flaky, almondy, buttery so delicious Kouign-Amann and chocolate bonbons. Comparing to its large and looming legend, Le Normandie is tiny in size. 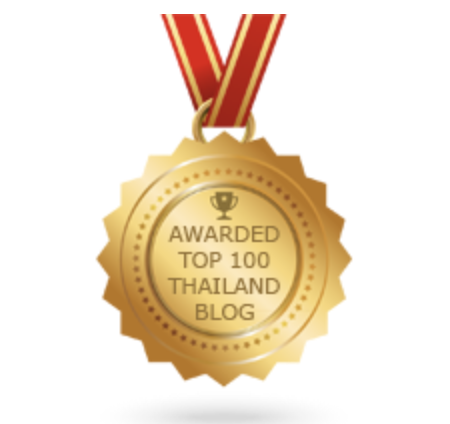 It is a cosy and ultra opulent place. Guests coming for dinner are required to dress elegantly, with jacket a compulsory for gentlemen. The restaurant seats 45 and yet it is staffed with a total of 30 crew: 12 in its equally cosy kitchen with the river view and the rest in the restaurant’s frontline operation. 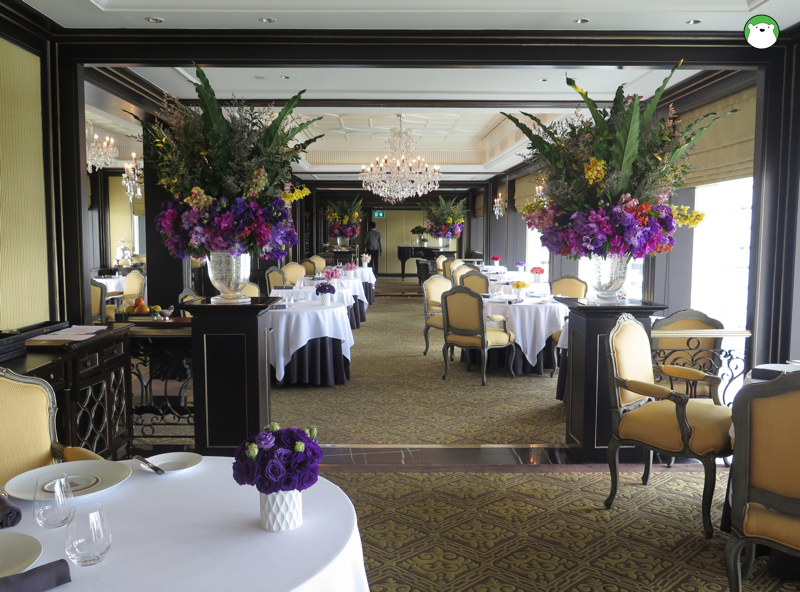 To dine at Le Normandie, guests can choose between lunch and dinner. While dinner can be a little overwhelming when the whole ‘fine-dining’ ambiance is to be played in full bloom, you can always come for a lunch and enjoy the whole Le Normandie’s exceptional experience in broad daylight. Set lunch of 3 courses starts at Bt1,600++, 4 courses for Bt2,000++ with choices of wine pairing: 2 glasses for Bt750++ and 3 glasses for 1,100++. But for those into a degustation experience, you can choose from 5 courses at Bt5,200++ and 7 courses for Bt6,200++ with wine pairing: 5 glasses at Bt3,500++ and 7 glasses at Bt4,600++. For dinner, degustation set of 5 courses is Bt5,200++ and 7 courses for Bt6,200++, with wine pairing Bt3,500++ for 5 glasses and Bt4,600++ for 7 glasses. The wine cellar at Le Normandie is considered to be one of the best, stocking the best picks from around the world with emphasis on France, of course. 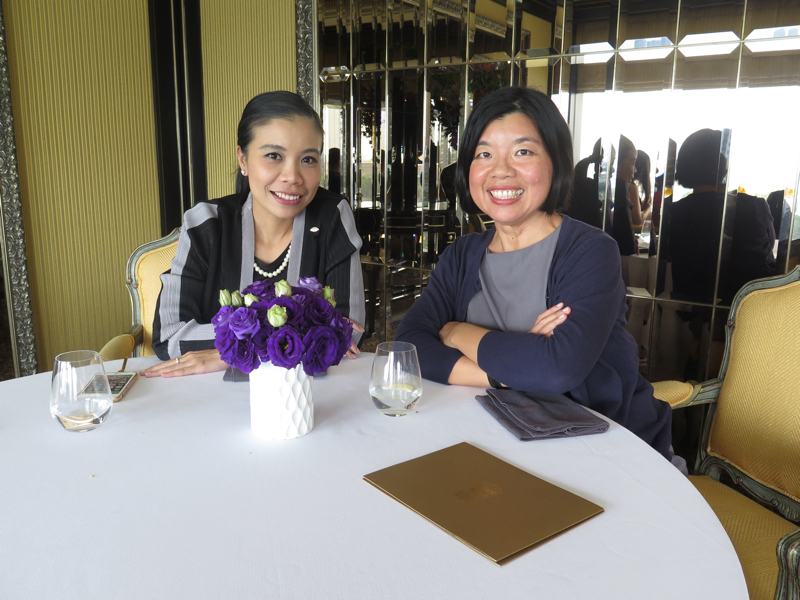 And super special for Valentine’s, Le Normandie is preparing a special 7-course degustation menu at Bt20,000++ per couple. Or throughout the hotel, Valentine’s promotion is on every outlet: Lord Jim’s at Bt9,500++ per couple, Ciao Terrazza at Bt8,500++ per couple, BBQ Riverside Terrance at Bt9,000++ per couple and The Author’s Lounge at Bt3,400++ per couple.